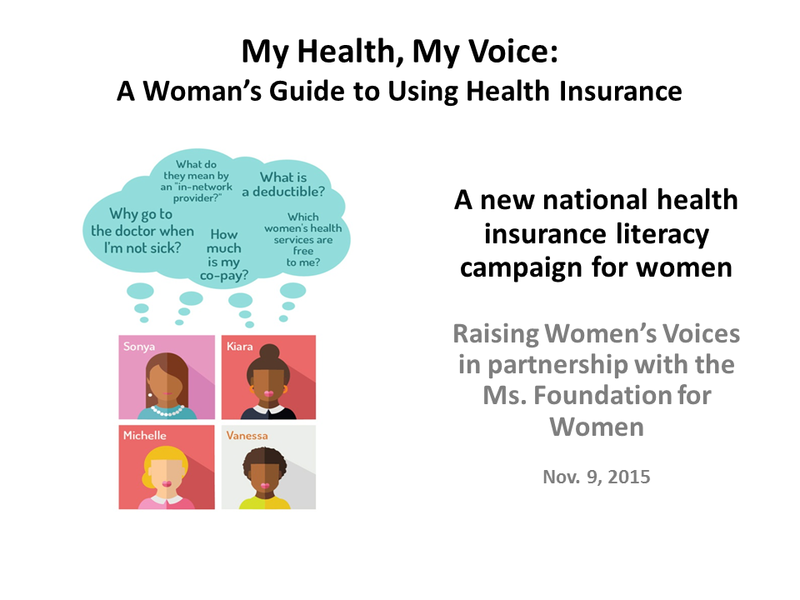 This page lists our upcoming events for the My Health, My Voice women's health literacy campaign. Thank you to all who joined our webinar and Twitter chat! Help spread the word about affordable health coverage! The 2 p.m. EST webinar will be co-hosted by Raising Women's Voices and the Ms. Foundation for Women.